Heat oven to 350ºF. Line cookie sheets with parchment paper. In small bowl, place granulated sugar. Shape dough into 1 inch balls; roll in sugar. On cookie sheets, place balls 2 inches apart. Tip : Look for parchment paper at your local grocery store in the section where waxed paper, foil and plastic wrap are sold. 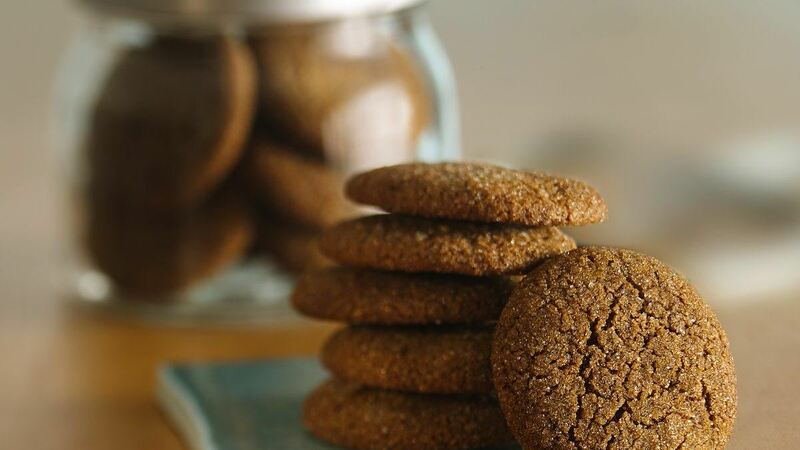 Tip:You can use light or dark molasses in this recipe.